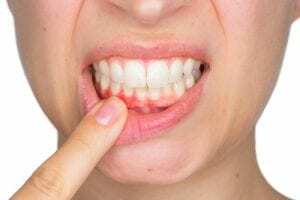 If your gums are inflamed, sore, or prone to bleeding, you may be suffering from a condition called periodontal disease. Periodontal (gum) disease is caused by the overgrowth of bacteria in the gum pockets and affects around 70 percent or more individuals at least once in their lifetime. The gradual bone and gum loss that those with periodontal disease experience can eventually result in loose teeth, infection, and tooth loss. Generally, a periodontist who is highly trained in the prevention, diagnosis, and treatment of gum disease performs surgery to restore the gums to a healthier state. However, modern advancements in technology have paved the way for efficient and less invasive treatment. 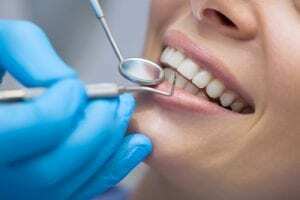 Many dentists and specialists agree that dental therapies that are less invasive and biocompatible can provide the best oral health care possible. A traditional gum surgery involves cutting open the gums to remove debris and decay as well as any deformities in the bone. This effective yet painful procedure has long been the standard of care to address periodontal disease until now. Dr. Chad Tomazin takes a biological approach to periodontal treatment with ozone periodontal therapy programs, which utilize activated oxygen to kill bacteria within inflamed gum pockets, eliminating infection and preventing decay. Periodontal deep cleanings: Deep cleanings remove harmful deposits of calculus and plaque from the teeth, helping to prevent the development of gum disease. Enamel treatment: Fluoride-free xylitol tooth polish treatments help strengthen and protect tooth enamel, preventing tooth decay, halitosis, tooth sensitivity, and dry mouth. To find out if you can benefit from periodontal treatment, or to schedule a dental appointment with Dr. Chad Tomazin, please call 951.686.3666.